Sure It’ll Be Grand is a Kickstarter initiative. The company came to me with an idea to sell Irish Air, a bottle of Cop On and a bottle of Gift of the Gab. 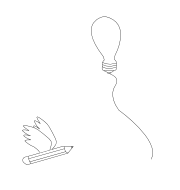 I thought it was a great idea, loving all things left of centre, and set about devising a name. I designed the logo and labels with an ‘Oirish” slant and also wrote the copy with the same tone of voice. The product was tested live on 2FM by Rick O’Shea and went down a storm. 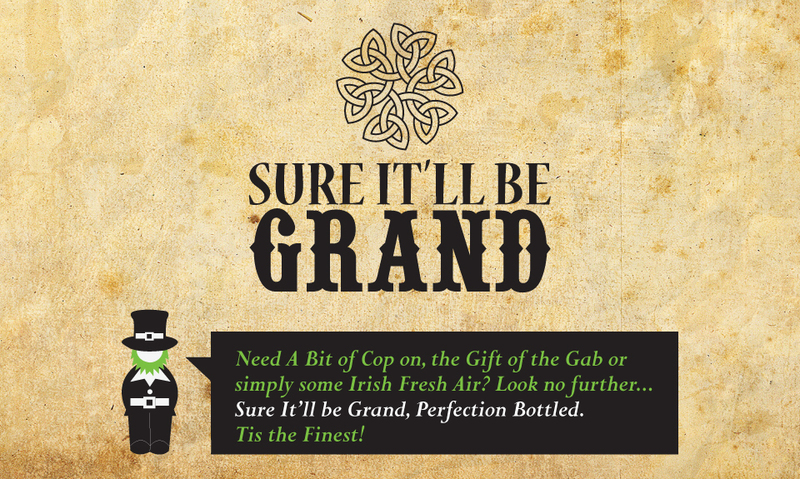 Please support Sure It’ll Be Grand on Kickstarter or visit their website and get this unique and quirky Irish product off the ground!